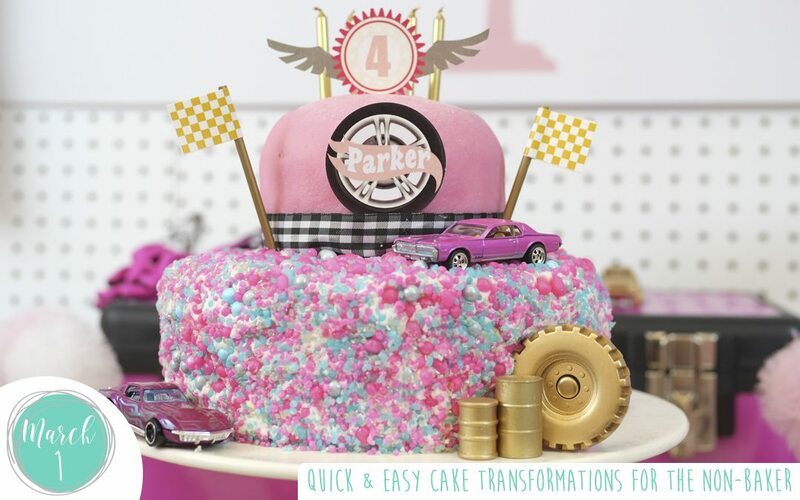 Quick and Easy Cake Transformations For the Non-Baker! 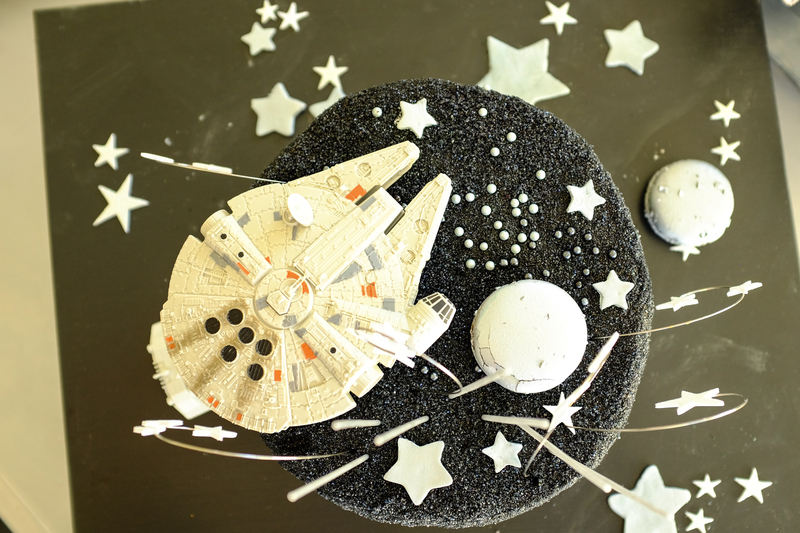 I don’t know about you but I see some of the cakes on Pinterest and wish I could make one! they are totally swoon worthy. I am no baker, most of my attempts at baking a cake end up with a lopsided or sunken disaster! Baking, is definitely my nemesis. So what can I do…buy the decorated cake? well that’s an option and there are so many talented cake decorators out there that are worth their weight in gold! Unfortunately I can’t always afford to pay several hundred dollars for these divine creations. For example:- The following cakes are all $20 – a white pre-frosted / iced confetti (circular with a sprinkle of colored edible confetti) cake, a pink princess (circular) cake with super smooth almond paste icing and a delicious chocolate fudge cake. You can also go for a plain pound cake (available at Safeway) which come in many different shapes (ask them to frost it in buttercream for you with no extra decoration, or just with the edge piped). The reason I pick these cakes; they taste good, the shape is perfect and the frosting is pre-done and smooth with very little additional decoration. Step 2: Remove the decorative parts that have been added onto the cake (of course this is totally optional! 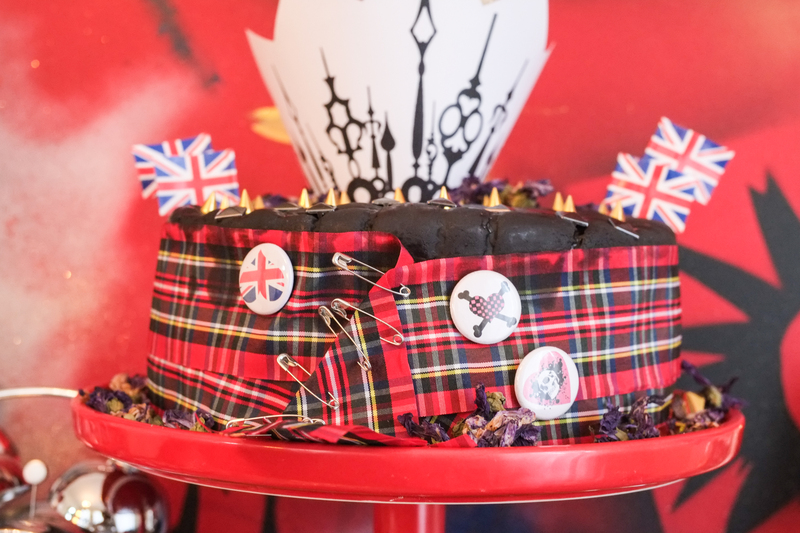 I use a cup of boiled water, dip a sharp knife into the water and then gently slice off any decorative elements, there are usually only a couple of piped or piping around the edge of the cake. The colder the cake the better, so sometimes putting it in the fridge for a while helps with this. Don’t worry about any mistakes, I’ve made plenty of errors removing the bottom piping or moving the cakes…that’s what ribbon is for! lol, check out step 5. Step 3: Stack the cakes to create tiers (approx. $5). Insert 4 long lollipop sticks (Wilton 8″ or 11.75″ – don’t forget to measure them against the cakes, and cut if necessary, you don’t want the them protruding out of the top cake) into the larger cake on the bottom. Then you need to lift the smaller cake up and place it on top. Two people works best if you are nervous (that was me at the beginning and that way you get to center it best (don’t worry if you long don’t, tips for that too!). Each person lifts with a large spatula/slice or you can do it yourself slowly! 1 larger spatula and your hands. I usually take sprinkles (regular, pearls or sugar based sprinkles), candyfetti (love this as it has varying sizes of yum! you can get this via www.sweetsindeed.com) or something like coconut and press it gently into the frosting on the bottom layer. It will hide anything! You’ll only need one large bottle. Hiding the “joins” or “frayed edges”- I usually use ribbon that fits with my theme and wrap it around the bottom of the cake. I’ve also bought a small packets of fondant, cake boss makes small packets ($4, 40% off with a Michaels voucher!) that are perfect for a small number of basic shapes like hearts ($1 for a cutter), they stick well to the edges of the cake. Other things I have used – Jelly Belly’s, candy like m&m’s, flowers, new piping. These all cover the cake joins and any damage from lifting the cake onto the bottom level. Candles are not your only option here and even these can also be played around with. For example, add a sticker to the candle, like a cutie mark for “My Little Pony”. Play around with things like macaroons, wire that you add a printable too, racing flags, cut outs or even a toy space ship. If the cakes isn’t centered post lift? 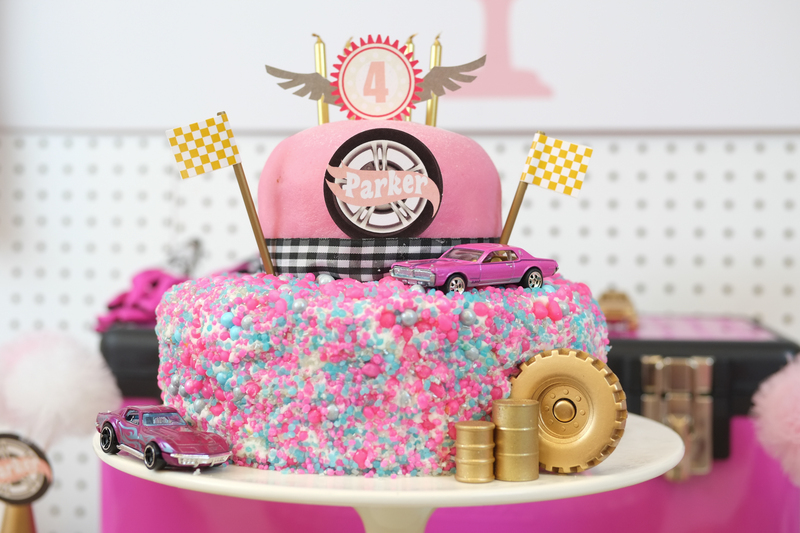 add a prop to the front of the cake – a car, an amulet for frozen, a superhero, or use some cupcake toppers. Let your imagination take over! and see below for some inspiration. The princess cakes I buy usually have a small iced flower on top, I’ve left this there before or taken it off and used it elsewhere on the cake. 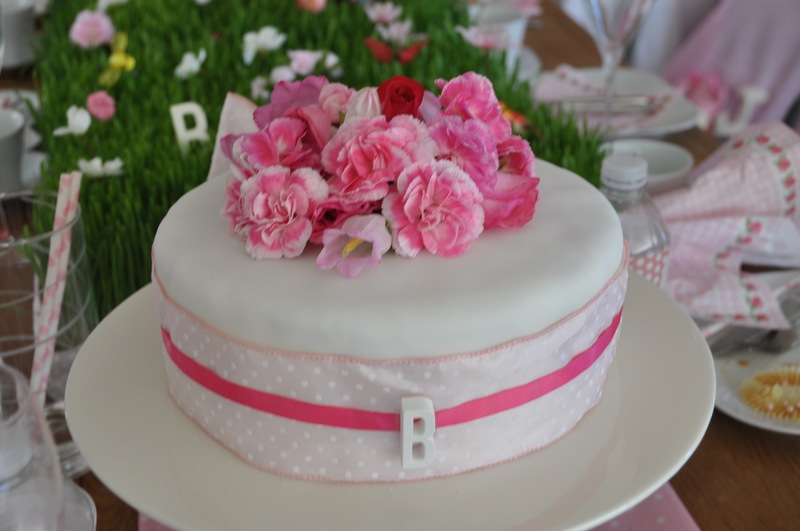 I’ve also attempted covering the base cake in fondant before, sometimes this works, when it doesn’t and I can’t get the top smooth…wah-lah grab some fresh flowers and put them on top of the cake. TOTAL COST: At the end of this it has usually taken approx. $35 /60 /80 (depending on the cost of my toppings & ribbons) to create either a single, 2 or 3 tier cake. You know it’s going to taste good too! Happy decorating.